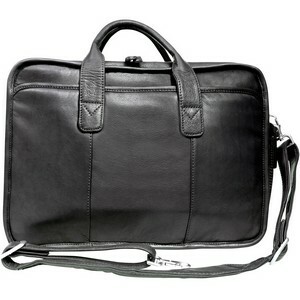 This Custom Leather Briefcase is part of the Canyon Outback Classic line which is 100% full grain,buffed cowhide leather. The Glacier Canyon Slim-line Custom Leather Briefcas is a top-load main zippered compartment and two open exterior pockets make for easy access on this slim and stylish briefcase. The interior is fully lined with 600 denier nylon for added protection against spills and tears.